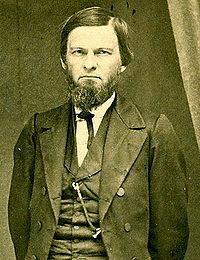 Recently, I’ve grown fascinated with John Broadus, most know for being one of the founding members and later a president of my alma mater, The Southern Baptist Theological Seminary in Louisville, Kentucky. He’s also known for penning one of the greatest preaching manuals in our nation’s history, A Treatise on the Preparation and Delivery of Sermons (hardcover | Kindle ). … using any means to gain the ear of, or have an effect on, the audience that does not honor the sacred nature of God and the things of God or ensure singular focus on the spiritual and theological message of God in the text (216). In the mid to late 1800’s to even now, preaching that is rooted in emotion rather than revelation of Scripture fails to honor God and will fail to change lives in any substantial way. Pressure to produce bottom-line results has led many ministries to sacrifice the centrality of biblical preaching on the altar of man-centered pragmatism. A new way of “doing” church is emerging. In this radical paradigmatic shift, exposition is being replaced with entertainment, preaching with performances, doctrine with drama, and theology with theatrics (Famine in the Land, p. 25, quoted in A Living Legacy, p. 213). Pray for preachers of the gospel, that they rely on the testimony of Scripture rather that the shifting sands of sensationalism. That’s what the world and the church most needs. Albert Mohler of Southern Seminary gives the answer, and it’s a good one: expository preaching. If most evangelicals would quickly agree that worship is central to the life of the church, there would be no consensus to an unavoidable question: What is central to Christian worship? Historically, the more liturgical churches have argued that the sacraments form the heart of Christian worship. These churches argue that the elements of the Lord’s Supper and the water of baptism most powerfully present the gospel. Among evangelicals, some call for evangelism as the heart of worship, planning every facet of the service—songs, prayers, the sermon—with the evangelistic invitation in mind. Music touches the emotions like few things can. Songs are packed with chord constructions and changes that can move the heart; they contain numerous memories attached; and they have been used as ammunition in the dreaded ‘worship wars’ that take place among God’s people. Oftentimes, we come to worship with an idea of what we want, but God in His word tells us what we need—a steady diet of His whole counsel (Acts 20:24-28). Pray that your pastors have time to study so that you and the church may be well-fed. Pray they would have clear thoughts and clear speech in which to convey His Word. Young preachers have their work cut out for them. They sense a call to preach. They may go to school or sit with their pastor to learn some basics about preaching. Many scholars and pastors write books on the subject. But the only way to really learn how to preach is to, well, preach. Even so, young preachers would do well to have a paradigm from which they work to approach their sermons. This will help not only them, but their listeners that they so want to see know and grow in Christ. Mile High Preaching Conference 2013: This coming October 25-26, we will be having a Preaching Conference here in Denver. Why? After being out here for the last 15 months, I am recognizing this one fact: Denver and Colorado and the West need preachers of the Gospel—yes, even expositors of the Word! Trainings for pastors are prevalent east of the Mississippi and south of the Ohio River, but not so much in this part of our country. When I say that “we” are hosting this, God planted this in the minds of Mark Hallock (pastor of Calvary Church of Englewood, CO) and myself—and it came to light in the aisles of our local LifeWay Stores in Lone Tree. So the theme is “Preaching that Engages, Preaching That Endures.” Our speaker will be Dr. Hershael York, Preaching Professor at theSouthern Baptist Theological Seminary in Louisville, KY as well as Senior Pastor of Buck Run Baptist Church, Frankfort, KY. He is a gifted preacher and communicator, and has authored an incredibly helpful book, “Preaching With Bold Assurance: A Solid and Enduring Approach to Engaging Exposition.”For more information, contact either Matthew Perry (Pastor of Arapahoe Road Baptist Church) Mark Hallock (Pastor of Calvary Church in Englewood). The cost will be $10 and will be held at Arapahoe Road Baptist Church (but if we have more than 250 sign up, we will pick another venue). The Four Levels of Scrutiny for Pastoral Search Committees by Thom Rainer. Preaching that Cuts to the Heart by Tim Keller. 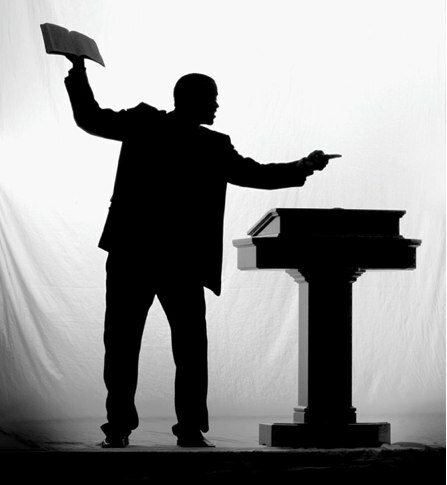 How to Be an Awesome Guest Preacher by H.B. Charles, Jr.
Back in June 2009, I flew down to Charlotte, NC from Lexington, KY to see my niece graduate from high school. I did not fly regular, but flew standby. If you have never flown standby before, I must tell you that it is wonderful if two things happen: you know someone who has worked at an airline for a considerable amount of time, and that there are enough empty seats on your desired flight. If you fly standby, ‘buddy passes’ are given by those who work for an airline to their buddies. The flight itself costs nothing, save only the taxes and fees. You reserve the flight you want, show up at the counter, and if there are extra seats no one has purchased, and if you have a pass from a buddy with seniority, you rise higher on the list, giving you a better chance to get on your desired flight. I had no troubles flying down, even going through Atlanta. I was to fly back Saturday afternoon to make it back in time to preach at Boone’s Creek. But when I went to the Charlotte airport for my 3:30 pm flight, I was #22 out of 31, with only 9 seats available. The 6:00 pm flight was no better–17th out of 28 on the list with only 6 seats available. So, I called a deacon and put him in the bullpen. I had a chance to get on a 6:00 am flight that would put me in Lexington at 10:15, just in time for 11:00 service. It too was full. So, mom and dad drove me back (which is what we should have done in the first place). The reason I go into this story is to reinforce something we already know: from our vantage point, airports look like pandemonium. From scrambling to unload out front, getting bags checked in, going through security, getting on the flight, then getting off the flight and going to baggage claim–total mayhem. Until you get to the control tower. In the control tower, you see there is a method to the madness, a purpose and a plane are in place. Revelation 4-5 show us the control tower of the universe. While many read Revelation for various reasons, we cannot neglect the context. The Revelation is that of an unveiling, a pealing back of the curtain of heaven. The apostle John, the one who received this revelation, was very, very old. He had seen the rest of his fellow disciples systematically executed by the Roman machine. He himself was on the island of Patmos–5 miles wide and 10 miles long out in the middle of the Mediterranean along with other criminals of the Roman system. He had seen churches have varying degrees of faithfulness. Some stayed faithful, some had gone worldly, some had been lukewarm, apathetic to it all. He began to lose hope. It was at that point that heaven opened up. John needed to see that all was not lost. Yes, on the ground all seemed to be mayhem, spiraling out of control. God graciously gave John a glimpse into the control tower of the universe. As we read through this, one word keeps appearing. In fact, in 24 verses, this word shows up 17 times. This word shows us the central object in the entire book of Revelation–and even in the entire universe! It is that of a throne. The Spirit wanted to show Him what would take place–and he brings him to a voice and a throne, and one seated on that throne. Imanating from the throne were flashes of lightning and horrendous peals of thunder. What is John communicating: of all the things we see about God in His Word (his love, mercy, grace, and his wrath against sin), we see that God is a God of splendor and majesty and terror! This is not a politically correct view of God, but our interest is being biblically correct! God is not one to be mocked or trifled with. In fact, the book of Hebrews describes God as a consuming fire. We also see that there are 24 elders around this throne. Who are they? We can speculate lots. Are they the heads of the 12 tribes of Israel and the 12 apostles? Why aren’t they identified? Because they are not the point, are they? But we can see what they do: they are clothed in white garments with crowns! There were some in the church at Sardis who, as John writes, “have not soiled their garments, and they will walk with me in white, for they are worthy” (Revelation 3:4). But each of them have crowns on their heads… golden crowns. These represent the clothing and crowns of victory–victory that has been won for them by Christ. And Revelation 4:10 says that in praise they perpetually cast these crowns at his feet. They fall down, submit, and have surrendered! The identity of the elders are not important–especially not to them. What is important is that we know the identity and the person who is important: the one who sits on the throne!! What about the living creatures? These are of the angelic order of the cherubim, the ones who attend and stand with the King on the throne. Revelation 5 brings to our attention a scroll. This scroll has seven seals on it–and where is it? Located in the right hand of the One who sits on the throne. This scroll, as the Word says, had writing on the inside and on the outside. With Roman documents, such as a will or other orders being given to an army, the full directions were given on the inside while the summary of the documents ingredients were on the outside. The seals showed ownership, and could only be broken by someone specific, someone able. The seven seals will, as you read in Revelation 6, unleash untold devastation upon the earth against those who have chosen to stand against Christ. We must remember that everything on earth is a spiritual warfare. As 1 John 2:15 outlines that unholy trinity of the world, the flesh, and the devil that war against the things of the Spirit. It is a second-by-second warfare–and those that shake their fist at their Maker and reject His Son will receive exactly what they ask for. This is a mission that was put in place from the foundation of the world–and the time has come to execute that mission. So the “strong angel” asked the question of the moment: “Who is worthy to open the scroll and break its seals?” Here is a great reason why we are introduced to the white robed elders, the four living creatures, and even all of the population of Heaven. They are mighty. They are impressive. They are imposing. But they are not worthy! At this, what did John do? If the scroll stays sealed, the consequences are even more serious than the confusion in the vindication of his servants and the unchallenged establishment of his dominion on earth, as it is in heaven. The angel’s question is … “Who is worthy to carry out God’s plan?” (Triumph of the Lamb, 105). the Spirit of counsel and might, the Spirit of wisdom and understanding, the Spirit of counsel and might, the Spirit of knowledge and the fear of the Lord. This One who is worthy is not just mighty, but Almighty. What distinguishes him from every other person not only in heaven, but also on earth is that he has conquered. But conquered what? And why? He was told to behold, and behold he did. Located between the four living creatures, but among the elders, John saw “a Lamb standing, as though it had been slain, with seven horns and with seven eyes, which are the seven spirits of God sent out into all the earth” (Rev. 5:6). I remember sitting in a Fazoli’s off Man O’War Blvd. in Lexington, Kentucky reading over this passage. This verse really caught my attention because I never noticed this, but when I did, tears came to my eyes. This Lamb, as though it had been slain, was standing. I immediately thought, “Slain lambs don’t stand–yet this One does.” Every other lamb that was offered as a sacrifice for sin were slain, but they did not stand. This one does! This is no ordinary Lamb. But this was part of the conquering! And he took that scroll! And the sorrow turned to joy! And what was their reaction? Singing! Shouting! Last Sunday during our Student Led Sunday, Katie Shoun led us in some incredible songs. What uplifted my heart as I sat in the congregation being fed by these songs was that many of you–lots of you–didn’t simply go through the motions, disengaged with what’s going on. It’s easy to do, isn’t it? People can be leading us in worship, and we can have our minds wander, look at the bulletin, look at other people–and be here, but not be here, not engaged at all with what’s going on. The only thing that some of us may be engaged in is the time. But when we are confronted by the Lamb that was slain, the Root of David, the Lion of the tribe of Judah, we cannot help but sing and shout. We don’t worry about what Sister Sue or Brother Bill thinks about us. When we come across the victory that was secured on our behalf by the Lamb who is ever present and sees everything completely–even seeing us completely–and he still willingly conquered? What did these 28 sing about? We have to be very careful about the books that are on the shelves of our bookstores talking about heaven. In fact, there’s a book about a man who spent an hour and a half in heaven (I won’t mention the name of book). I began reading this book, but I confess I stopped after page 35. Many of the old hymns and choruses I had sung at various times in my life were part of the music — along with hundreds of songs I had never heard before. Hymns of praise, modern-sounding choruses, and ancient chants filled my ears and brought not only a deep peace but the greatest feeling of joy I’ve ever experienced. As I stood before the gate, I didn’t think of it, but later realized that I didn’t hear such songs as “The Old Rugged Cross” or “The Nail-Scarred Hand.” None of the hymns that filled the air were about Jesus’ sacrifice or death. I heard no sad songs and instinctively knew that there were no sad songs in heaven. Why would there by? All were praises about Christ’s reign as King of Kings and our joyful worship for all he has done for us and how wonderful he is. I confess, I put the book down and never opened it up again. And even now, books that are out on heaven that are primarily based on an experience that someone had, be it a toddler or a Baptist pastor or anyone else, without looking at it through the litmus test of Scripture I just don’t have time for it all. Why? First, look at what they all sang and shouted about. It was about victory! It was about what was conquered! … for you were slain and by your blood you ransomed people for God from every tribe and language and people and nation, so you have made them a kingdom and priests to our God, and they shall reign on the earth. Look at what the angels shouted in a “loud voice.” Worthy is the Lamb who was slain! This is the basis of his conquering. This is the basis of him being able to take the scroll and accomplish His mission. And with all due respect to Don Piper’s experience by him saying they weren’t singing sad songs about his death… don’t you believe they who populated heaven knew why they were there? Yes, at the time and even now, it is the greatest miscarriage of justice that ever took place–but it is also the only way that the door of heaven could be opened up to us. So what do we see happening? First of all, the Christian needs to see that, regardless of what happens on earth–no matter what happens in your family, no matter what the government pronounces, no matter what others may say or do–Jesus is still on the throne! He is not simply working to conquer–the Word says He has conquered. He is not simply mighty, he is Almighty. So when Jesus says, “Do not be anxious about your life, what you will eat or what you will drink, nor about your body what you will put on. … Seek first His kingdom and His righteousness, and all these things will be added unto you” (Matthew 6:25, 33)–you now see the vantage point from which he is talking. He is sitting on the throne as the center of the universe. Secondly, for those of you who have reject Christ to this point, both in your thinking and, ultimately, in your living: Christ was the lamb who was slain, and ransomed “people for God” (Rev. 5:9). Ransomed from what? Ransomed from their captor–ransomed from the sin which enslaves. Ransomed from that sin nature into which we were all born due to Adam. Ransomed the wages of that sin, which is eternal death away from God in a place called hell. Who did he ransom? From every tribe, and language and people and nation. No exclusion with God. No racism with God. No partiality with God. From every people, every geographical location, every societal structure, from the penthouse to the poorhouse–he calls out a people to Himself. This worthy Lamb was slain. This is the atrocity of our sin! This is the audacity of our sin–thinking that our sins are merely personal choices, but God accepts us as we are. God meets us where we are, to be sure–but He loves enough not to keep us that way. Simon Sinek has a simple but powerful model for inspirational leadership all starting with a golden circle and the question “Why?” My friend Mark Hallock, pastor at Calvary Church in Englewood, Colorado passed this gem along to be that will prove to help out not just preachers of the Word, but anyone who makes any sort of presentation. John MacArthur preaches from Mark 4:1-20, warning preachers about appealing primarily to people’s emotions and their wills, rather than making an appeal to the mind. Let the emotions be stirred from a clear teaching of people’s sinful condition before God and preaching Christ and Him crucified and resurrected. Today, I received an e-mail from the Martyn Lloyd-Jones Trust that is such good news that I had to share. Lloyd-Jones is considered the preeminent preacher of the 20th century. His book, Preaching & Preachers, was a landmark work in the preaching world but, more personally, in my own life. This is probably the biggest announcement the MLJ Trust will ever make. Starting from tomorrow, April 12th, all 1,600 recorded sermons by Dr. Martyn Lloyd-Jones will be available to download, at no cost, to anyone who wants to listen to them! There are no exceptions, so the Ephesians sermons, Romans sermons, etc. will all be available (it will take a few days to make sure that they are all included in the library). All one has to do is join the MLJ Library (membership is free of course) and start to download! Simply go to our newly updated site at http://www.mljtrust.org and click on "MLJ Library". This announcement eMail has been timed to coincide with our formal announcement at "Together for the Gospel". This morning (Wednesday, April 11th), we will be making the announcement on stage to the approximately 7,000+ Christian leaders and teachers who will be attending, and we never forget that the participation of the MLJ Trust at this conference was made possible by the kind support of our subscribers. As always, we only want to be sending these eMails to friends of the ministry who want to receive them, and so if you would prefer not to receive them, simply click on the "unsubscribe" link below and you will be removed from this eMail list. 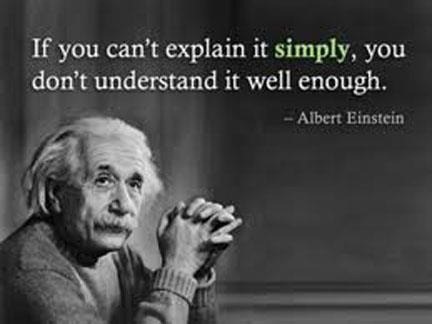 Einstein preaches to preachers with this quote! Preachers must, as the old expression goes, put the groceries on the bottom shelf. This does not mean that preachers study less, but actually study more! In going from knowledge to understanding to wisdom to communicating effectively, the hard work of putting the time in to study is the best way to help your congregation. This is a constant battle preachers of the Word and pastors of our churches face! I write this not because I have this battle won, but because it is a reminder that this is a battle I face! Put the groceries on the bottom shelf so your people in your church, regardless of their advancement in their spiritual walk, may reach and partake!